“Love & Hip Hop Hollywood” star Hazel-E is eating her words, and asking her LGBT fans to forgive her for saying gays should burn in hell. We spoke to Hazel Thursday … the day after she went on a homophobic social media rant. 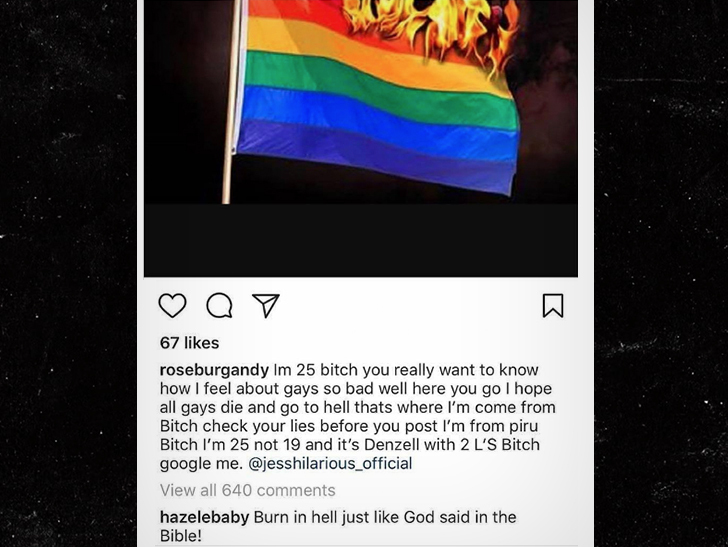 Someone accused her BF and fellow ‘LHHH’ star Rose Burgandy of being gay, and they both went ballistic — invoking the Bible, and wishing a fiery death on all gays. Hazel admits it wasn’t the brightest thing to do, especially because she relies heavily on the LGBT community’s support. She’s now backing off the death wish, but she’s clinging to the religious part of her rant.